Welcome to our site. 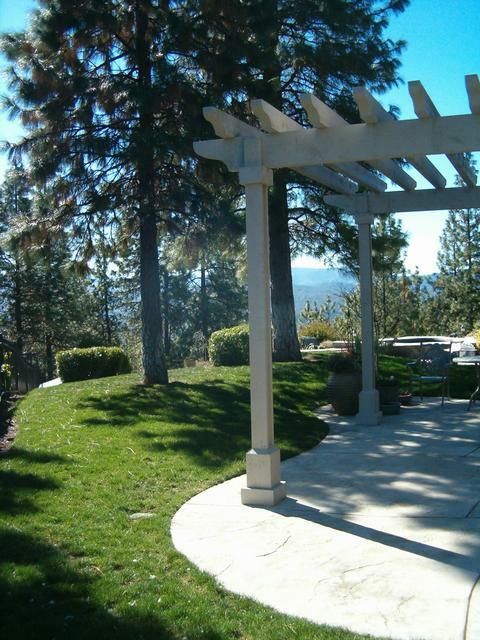 We are the Rogue Valley’s premier patio and deck builder – 30 years experience – providing design and construction of beautiful backyards, perfect patios, and outstanding “Outdoor Living Rooms.” We are proud to have served Southern Oregon for more than ten years. You may know exactly what you want for your yard or you may want to consult with us for professional design ideas – either way we can make your dream a reality. 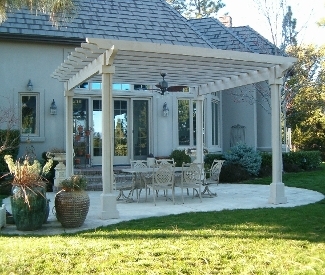 We believe that your yard and other outdoor spaces around your home are as important as your home itself. An inviting yard, patio or deck provides us all with refuge from busy lives, a place to entertain and relax, as well as the view from indoors. You should be surrounded by pleasing sights and places that inspire you to enjoy the outdoors. 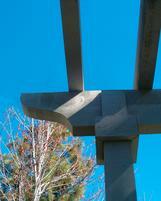 This is our business, designing and building outdoor “rooms” that call to you. 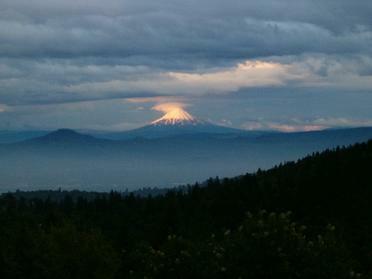 We who live here in Southern Oregon have an amazing climate with an extended outdoor season to enjoy. ► A quiet moment with a good book lounging on your special bench in a sunny, private corner of your yard, your own personal retreat. ► A large stone patio with wood beam work overhead and the sounds of laughter from family and friends gathered around the BBQ on a warm July afternoon. ► A romantic, star-lit evening with your loved one on your private back deck as you listen to the sound of water falling and crickets chirping while gazing into the warm flames of a brick fire pit. Whether you want to create that quiet, private retreat, build the ultimate backyard family entertainment area or maybe something in-between – Let’s make it real. Let’s build it. With 30 years of experience, our designer / builder Mark honed his skills in the highly competitive Southern California market, and has served the Greater Rogue Valley for more than ten years. We bring hands-on, quality workmanship and creative insight to your job, with projects completed on schedule and on budget. 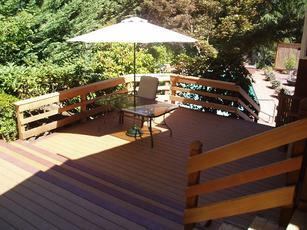 We work with every imaginable material to construct our patios and decks: from concrete and stone, to Trex® and wood, tile or metals, you name it. Working together, imagination knows no limits and the customer is always satisfied. Of course, we are licensed, bonded, and insured, and references are available upon request. 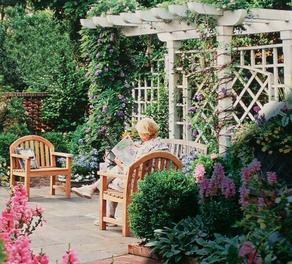 There is no job too small or too large, from a simple trellis for a blooming trumpet vine to a custom, wrap-around porch and front-entry deck for your home. We listen to your needs and wishes and strive to design and build for you, your ultimate Outdoor Living Room so you can get the most out of your backyard.